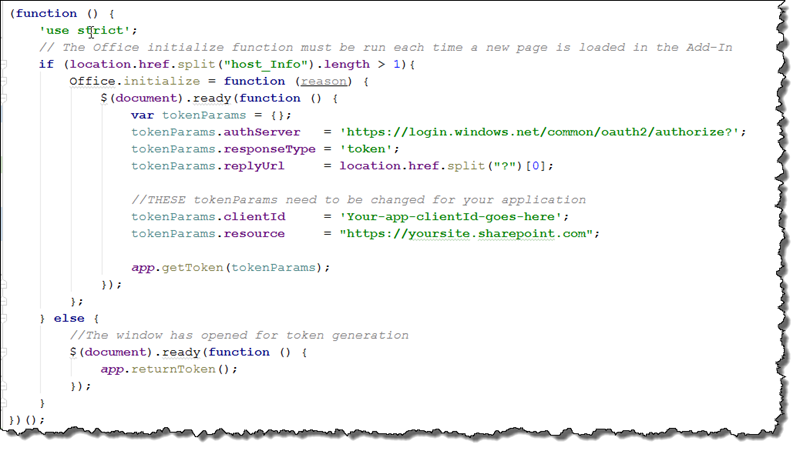 In this article I will show to create an HTML 5 Web App in Azurefrom a template repository. 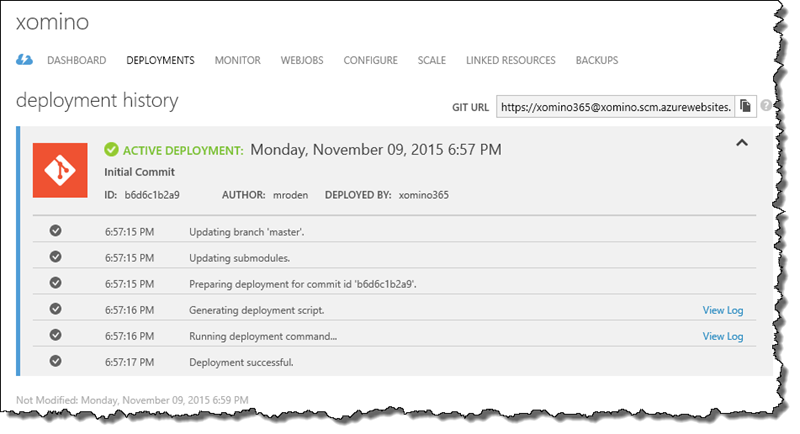 We will then modify the repo and push out first files back into Azure. In previous articles 1, 2, 3, 4 I have been showing how to use napa development tools to create. 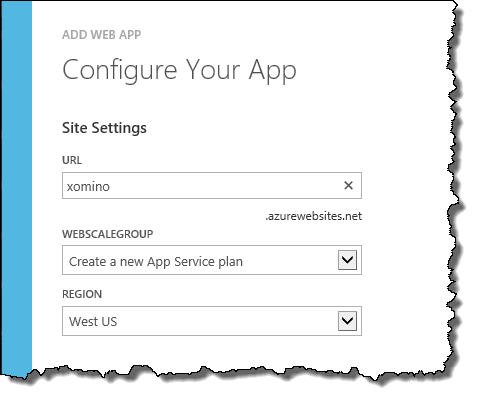 In this article I will demonstrate how to create a basic Azure app which will host our files for us. 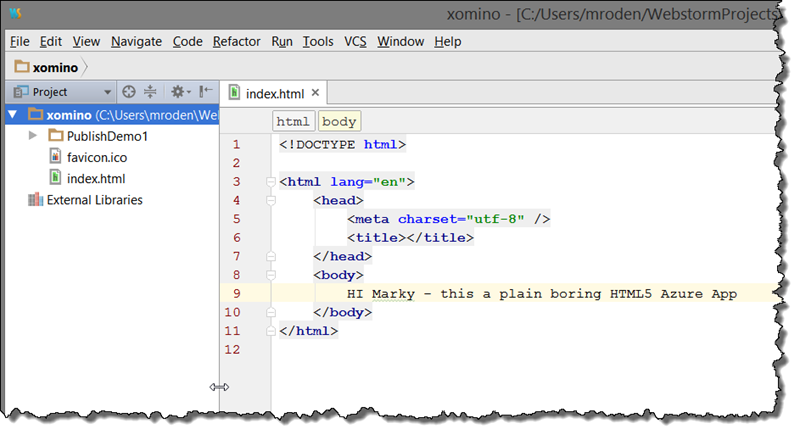 In this case we will create xomino.azurewebsites.net. 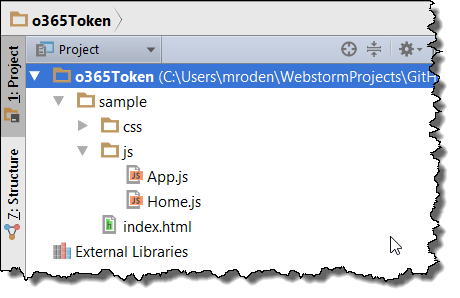 As we are doing nothing more than hosting files right now, we will create it as an empty HTML5 container. Once the app is created you can then add your files to it a number of ways – my personal preference is to deploy from a git repo. 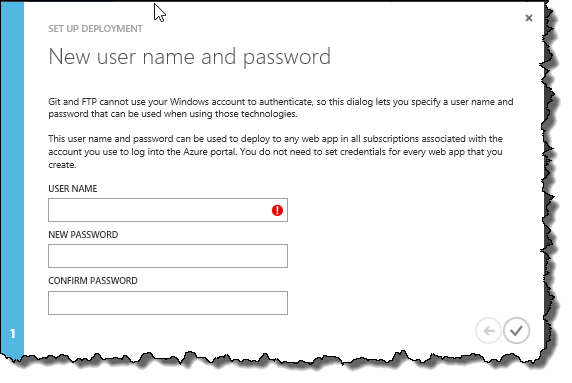 When you select connect to local repo the first time you will be prompted to create a username and password. 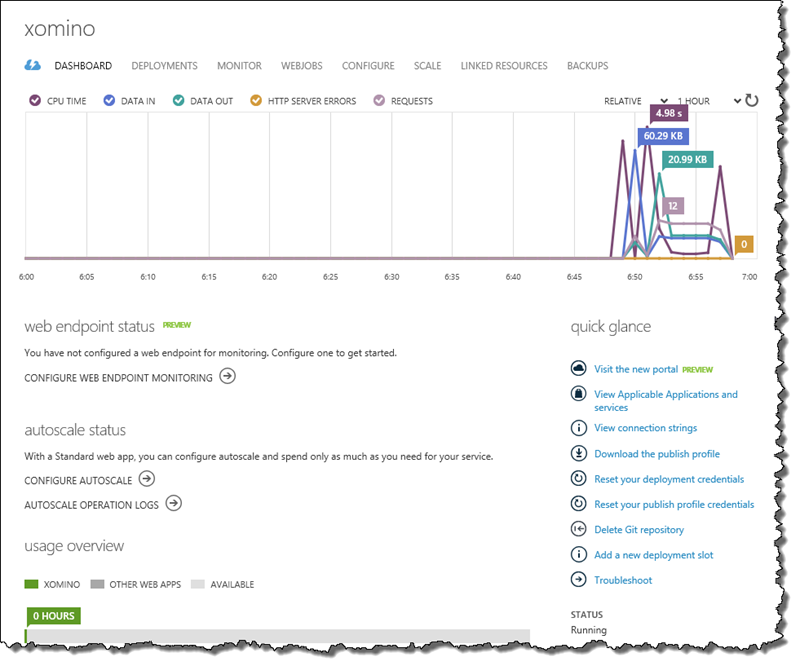 This is so that you can FTP your files up to azure. 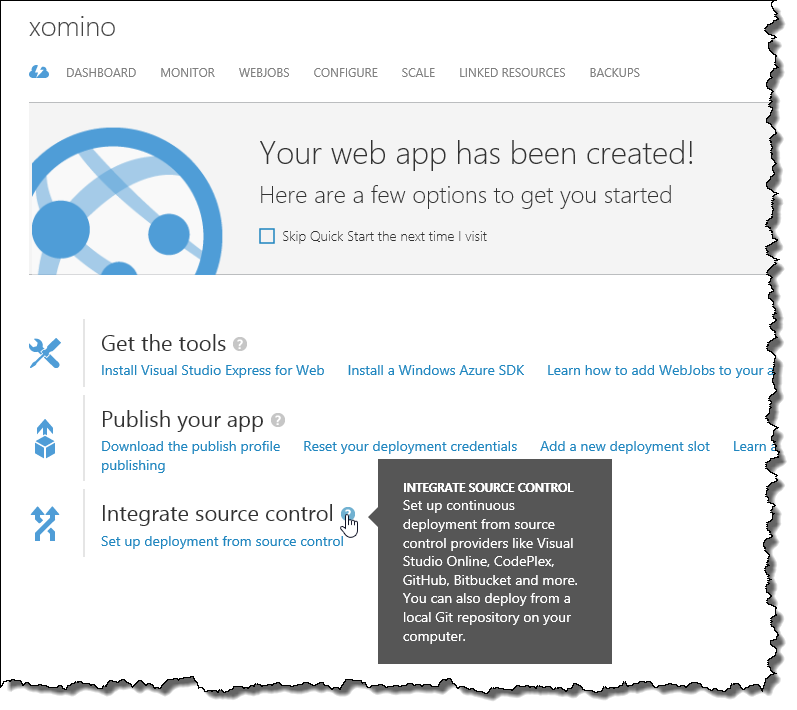 Once that is created you will be presented with a screen to integrate your Git solution (manual or otherwise) with Azure. pushed them back up to azure. The hosting of the Outlook files is crucial for them to be made available to a wider Exchange audience in the future.